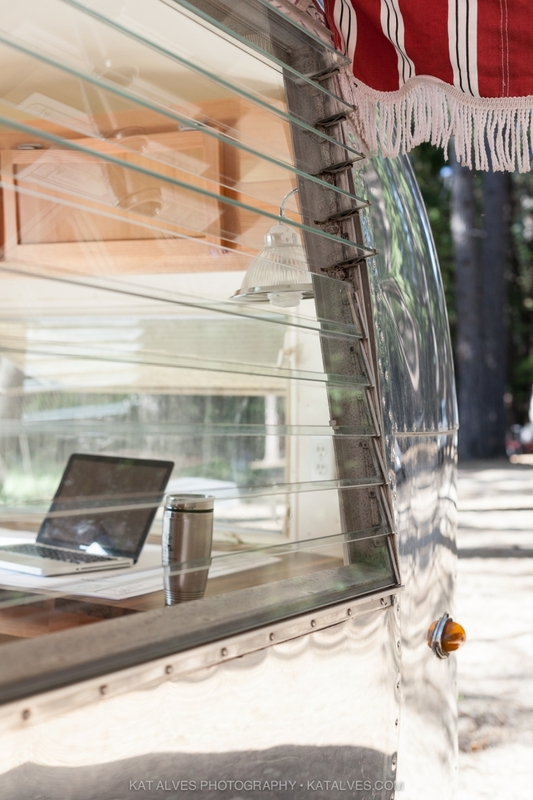 A California campground features a vintage Airstream camper converted into a gorgeous custom office. 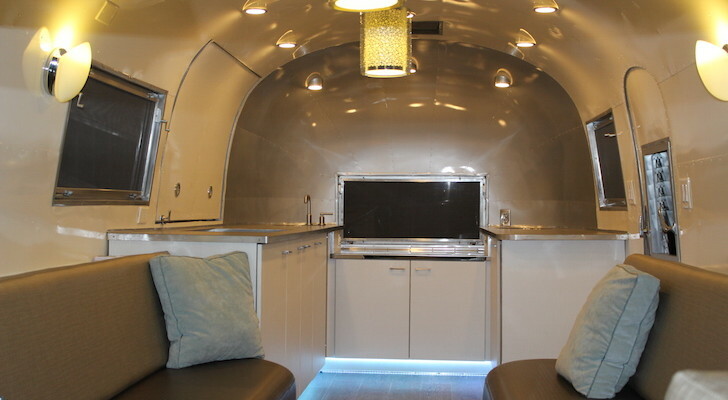 How would you like to go to work every day in this customized Airstream office? 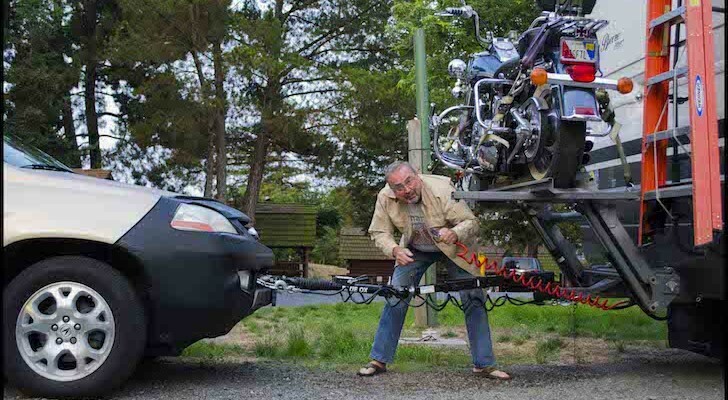 That’s exactly what Dan Thiem gets to do at the Inn Town Campground in Nevada City, California. 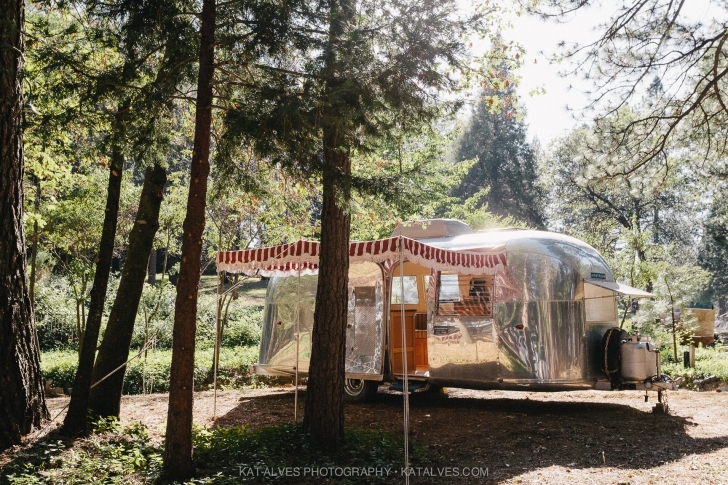 The vintage Airstream office is nestled in the trees at Inn Town Campground. Dan needed an onsite office to oversee the development at the new RV park, and a space to meet with contractors and clients. 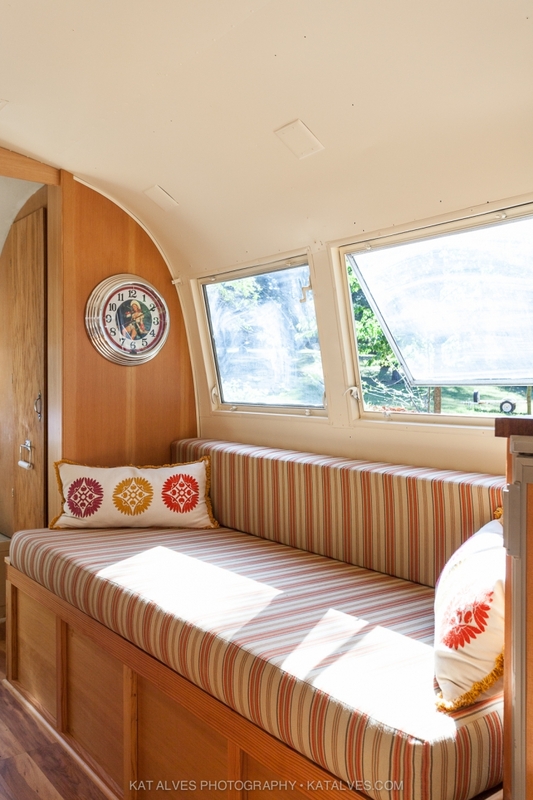 When it came time for Dan to choose office space for the campground, he thought a vintage trailer would be the perfect solution. Dan has really enjoyed having a work space that embodies what we’re building. 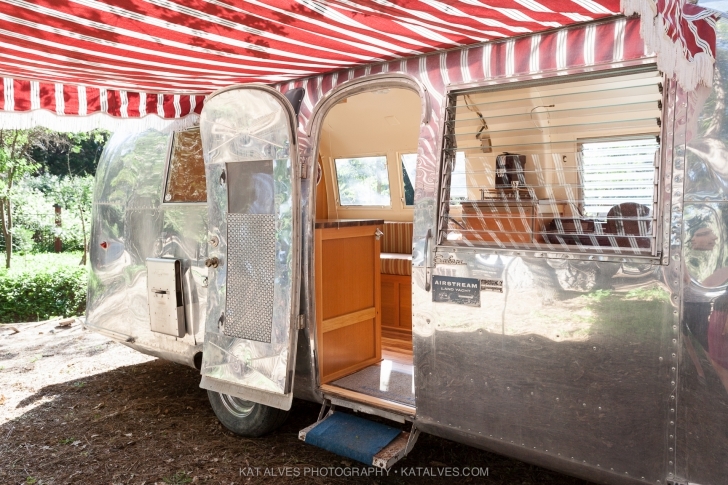 A vintage Airstream is classic, so why not use one to look at spreadsheets and conduct phone conferences? It has been a great solution for us. The custom built desk makes a bright and engaging work space. 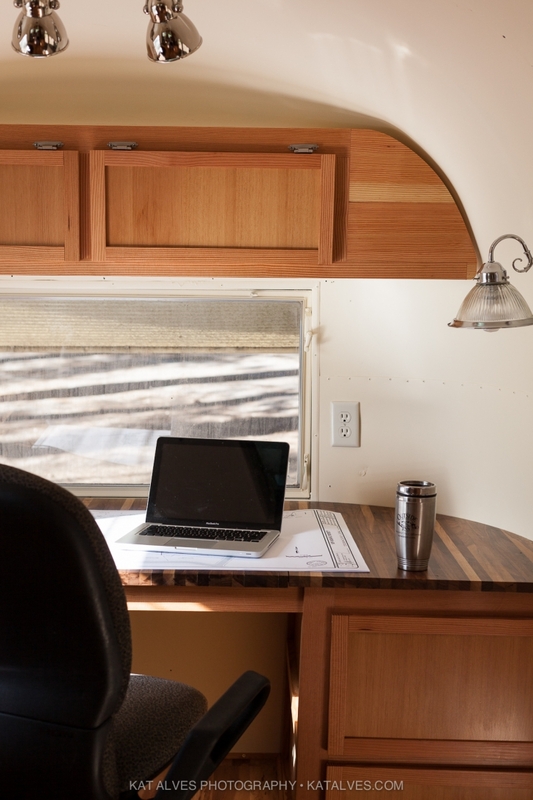 Since the couple knew they wouldn’t be using the Airstream for camping, they chose to modify it into a dedicated working office. 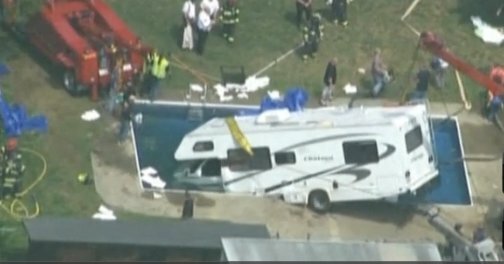 They removed the beds and created a wrap-around built in desk at the front of the trailer, as well as a long built in seating area. They also built custom cabinets, which include filing cabinets and other custom storage solutions that are helpful for organizing work documents in the small space. Natural wood and light from the outside mirror the peaceful surroundings. The built-in seating and break room area make an inviting space for guests. 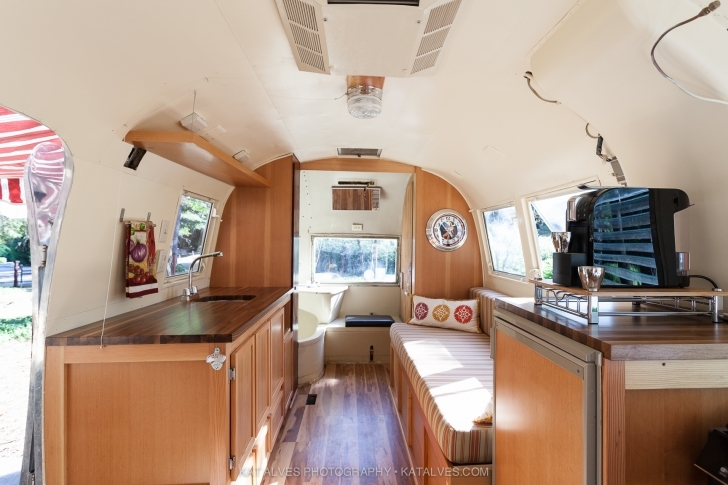 They removed the stove and made the kitchen area into a “break room,” with a sink and an espresso machine. Dan also installed a small fridge for drinks. The cheery fabrics and bright natural light make it an inviting space to work, and meet with clients. The awning paired with a set of outdoor furniture is exactly the kind of conference room we’d like to use for afternoon meetings! The awning provides an outdoor seating area, perfect for meetings. 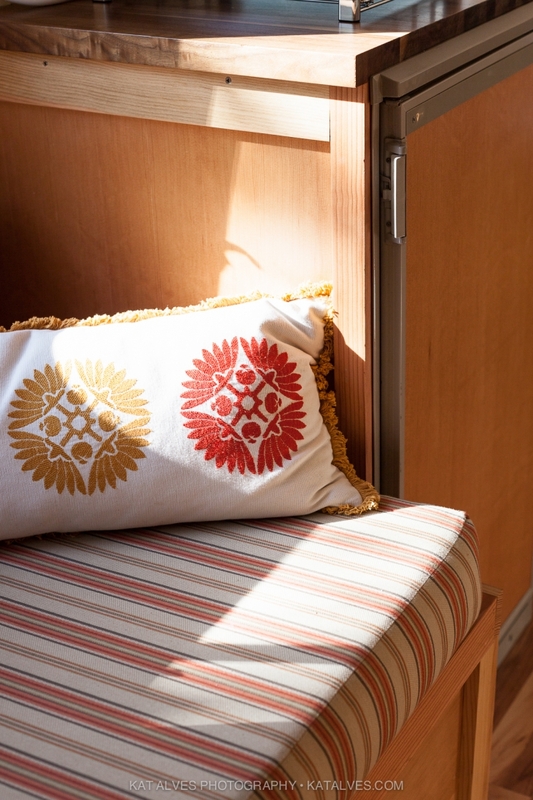 The custom built bench features cheery fabric and matching pillows. 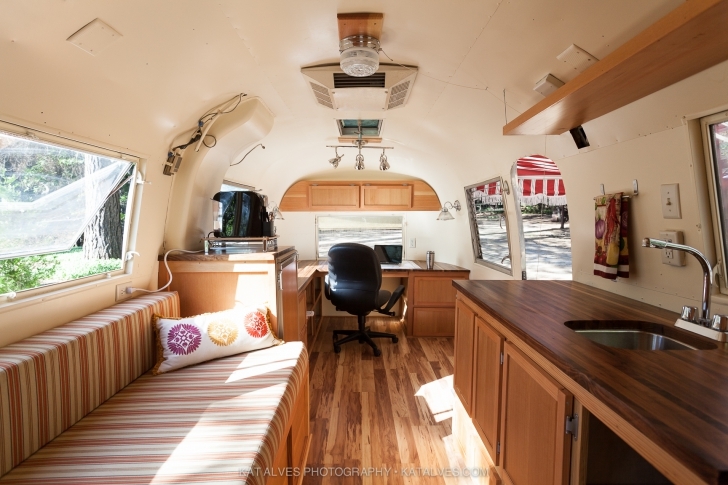 The couple found inspiration for their remodeling project by looking at photos of other Airstream offices online and on Pinterest. They wanted to create a clean work environment, without a lot of distractions. 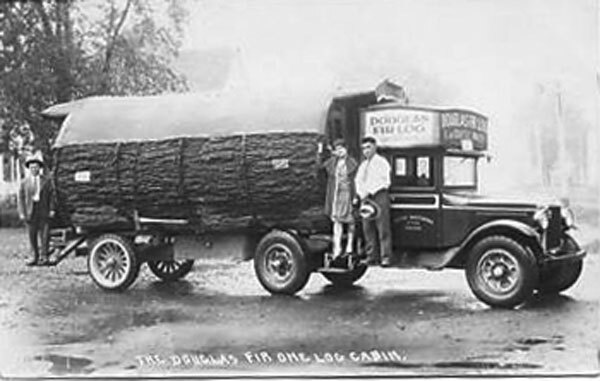 Erin explained that Dan draws inspiration from working with his hands, so having an office that is bright and full of natural wood helps him focus on those same aesthetics for the campground. Look at all the ones you can’t afford, then modify the ideas to make them work for your budget. 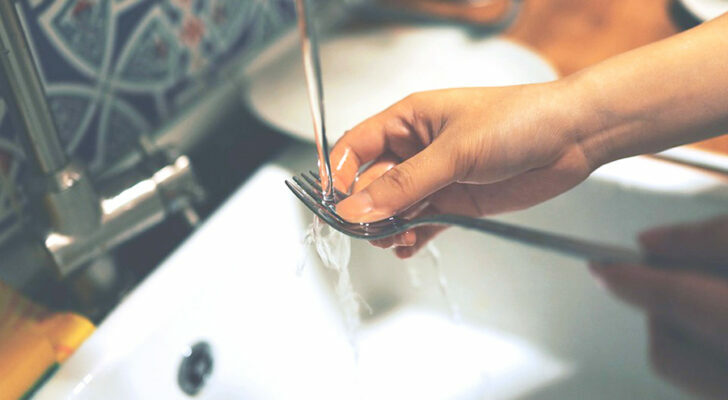 You can follow the Thiem’s example and do a lot of the work yourself if you don’t have the budget to hire a restoration company to do the completion for you. 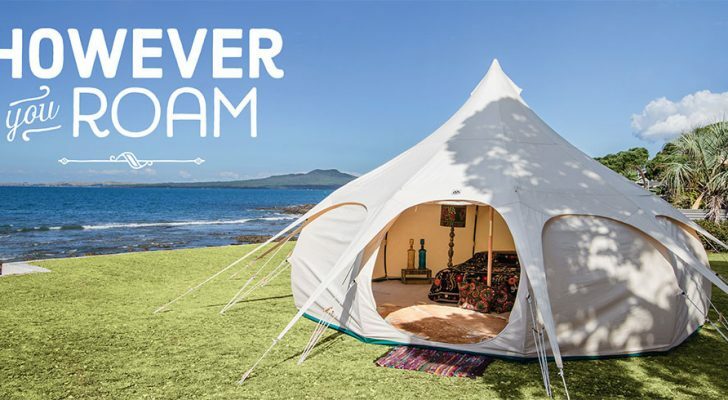 The Inn Town Campground, with Dan’s Airstream office as the center piece, includes pitch-your-own tent sites, RV spaces with full hook ups, and glamping tents. 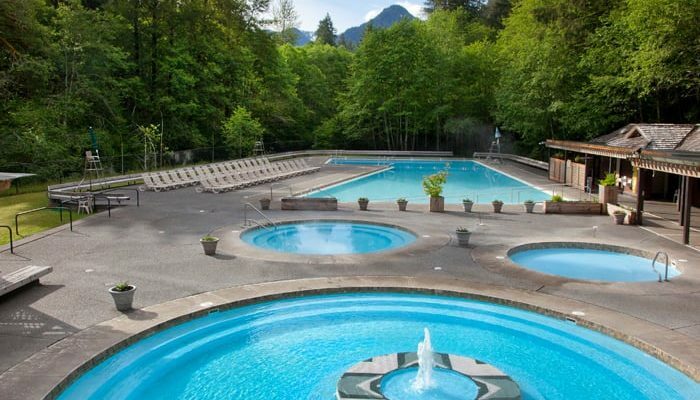 The campground also has luxurious touches like a community building with a camp store, kitchen, laundry room, T.V. and reading nooks, a swimming pool, and BBQ area. 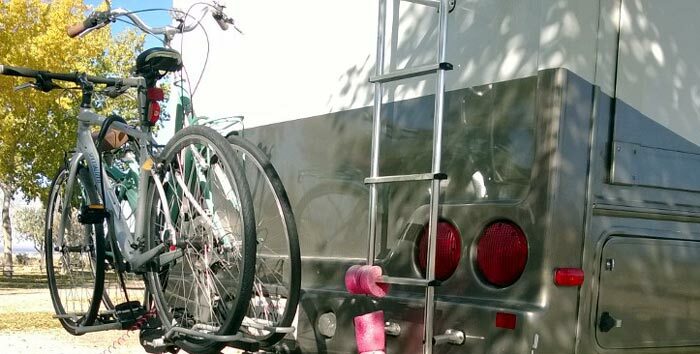 For more information, check out their website and their ratings on RV Park Reviews.